The ACPO President has opened fire on Federation representatives, accusing them of being inexcusably discourteous to government ministers at their annual conference. The Home Secretary’s speech was greeted with silence and she was jeered and heckled while leaving the auditorium in Bournemouth. But Sir Hugh was convinced that overwhelming majority of officers would continue to give 100 per cent in the face of cuts to budgets and less numbers in their ranks. 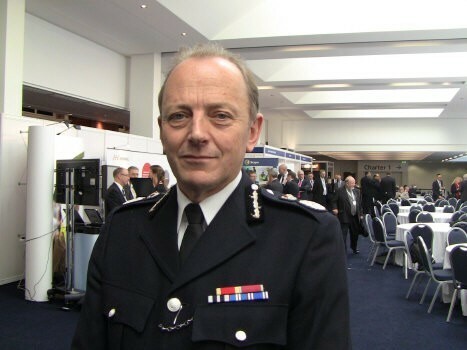 He told fellow chief officers: “There are, without question, many colleagues worried about the future of policing and uncertain about their future within it, which we must address. During his speech, Sir Hugh pointed out that policing was “on the cusp of the most significant period of change in its history since Peel” with new governance arrangements and the reshaping of the law enforcement landscape. He described the arrival of the new National Crime Agency – which will become fully operational next year – and the creation of a new Police Professional Body to assist with career development and best practice – as positive developments. But Sir Hugh re-iterated the concern of ACPO that the current 44-force model in England and Wales is not best placed meet the needs of policing in the 21st Century. He told conference delegates: “I recognise that there is no political will on either side to confront this question – but that is for politicians to explain, not me. “Collaboration is not as efficient as amalgamation – the obvious risks are a patchwork quilt of sub-optimal solutions that do not provide the public with consistency or value for money. While Scotland was pressing ahead with a single command, Sir Hugh said England and Wales was stuck with a model of policing designed in 1962 – before colour television was invented.